When prospective students are searching for a college they have a lot of questions. They need information. They need to know about programs, costs, opportunities and time frames. They seek facts. Prospective students need facts but their college selection decision is most often going to hinge on how they feel about their chosen college – and those they rejected. Here’s what colleges DON’T know: Exactly what makes a campus feel like home? What makes for a great campus atmosphere? What makes students feel like they belong? What triggers a student to declare that this college, above all others, is the right fit? Longmire and Company’s just-announced national co-sponsored higher education study has been launched to explore – in depth – the topic of emotional motivators in college selection. 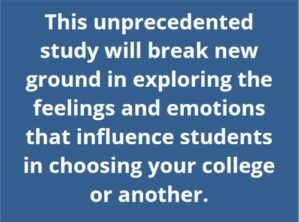 This groundbreaking study will explore how students feel and, more importantly, uncover why they feel that way, to give you a deeper understanding of the students you’re trying to recruit. The actionable insight yielded by this study will give you greater control over your conversations with prospective students, better ability to craft sharper mass marketing messages, and more direction to design highly productive campus visit experiences. Unlike any other higher education research to-date, Emotional Motivators will explore the emotions and perceptions that factor into the college selection process. This study, like our previous co-sponsored studies, will provide you with actionable information you can use immediately and effectively. Are student feelings about you in line with what you want them to be? Positive and negative feelings students have about a wide variety of attributes and characteristics of your college. Positive and negative feelings of other colleges they’ve considered. The relative influence of student feelings in college selection. How admission counselors can effectively uncover and respond to the feelings of prospective students. How prospective student feelings can be captured and categorized for use in mass communications. 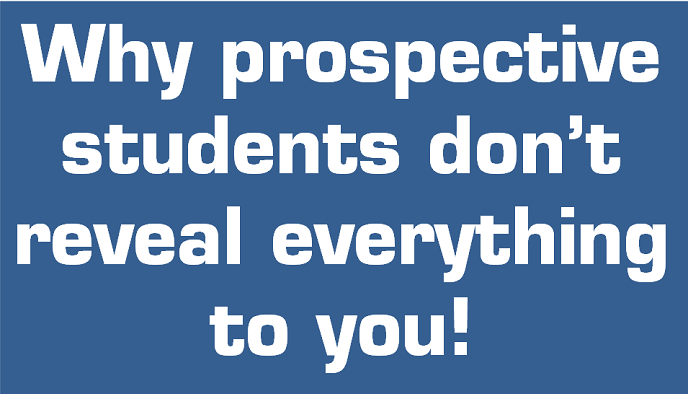 How to have richer, more productive conversations that will lead to enrollment. I hope you’ll join in and be a part of this important new study. You’ll be glad you did. For more information or to reserve your participation in this study, contact Rick Montgomery (913) 492-1265 ext. 708 or (rmontgomery@longmire-co.com), Nick King (913)492-1265 ext. 711(nking@longmire-co.com), or me at (913) 492-1265 ext. 709 (blongmire@longmire-co.com). Colleges are signing up now so we encourage you to contact us soon if you are thinking about participating. CLICK HERE FOR COMPLETE INFORMATION. Yes, Students Break the Promises They Make to Colleges. Here’s How to Change That! 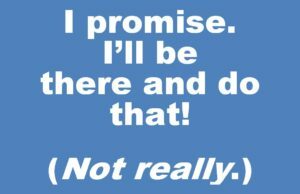 Do the students you are recruiting have “commitment issues?” As in, telling you they will attend an event but actually being a “no-show,” or promising you that the necessary paperwork is on the way when it actually never arrives? 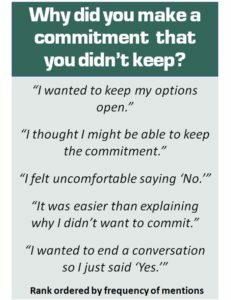 Whether it’s completing an application, sending in transcripts, attending an open house or taking a campus visit, students frequently make promises to colleges that they don’t keep. With our latest co-sponsored study, “Hidden Influences: Revealing the unspoken perceptions that perspective students have about your college and why it matters in your ability to grow and control your enrollment,” we tackled the question of why students will make and, then break, a commitment to a college. The 18,000 college-bound students participating in the study frankly admitted that broken promises are part of the college shopping process. In fact, 30% of students say they will make a promise that they know they are unlikely to keep. And they are equally honest about why they tell a college one thing and do another with 79% attributing their broken promises to wanting to “keep my options open.” Another common reason, shared by 61% of students nationwide, is that they “thought there might be a possibility of keeping the commitment.” For the most part, the wide-ranging responses demonstrate that most students will seek the path of least resistance. What they do not want is anything resembling a confrontation with a college representative. Recommended Strategy: Change the way you ask! To the student a “yes” answer means “discussion closed” whereas a “no” could lead to an extended discussion, which in their minds, means a confrontation. This technique is far more likely to uncover any barriers that might be keeping the student from attending your event such as a scheduling conflict or transportation issues. Barriers you may be able to help the student overcome once they are identified. The same techniques can be used to qualify any commitment you are asking of the student and can be used by any member of your team. 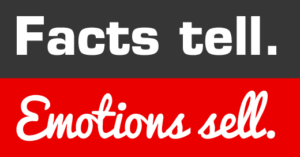 And, this technique can be integrated into your email and text communications as well. Join us for our presentation of the “Hidden Influences” study on Monday, April 24 (9:45 am) at the TACAC/RMACAC/SACAC Super Conference in San Antonio. Bob Longmire, and study co-sponsors Jeffrey Fuller, University of Houston, and Troy Johnson, University of Texas – Arlington, will share their unique insights on the data and the best practices they have uncovered. Each year our national co-sponsored studies attract even more colleges that want to “get in” on the new and different insights we give them about their prospective students and students nationwide. If you’d like information about the topic of our next study, and the benefits you receive as a co-sponsor, be sure to CLICK HERE now to be alerted soon when we put together our next group of co-sponsors. 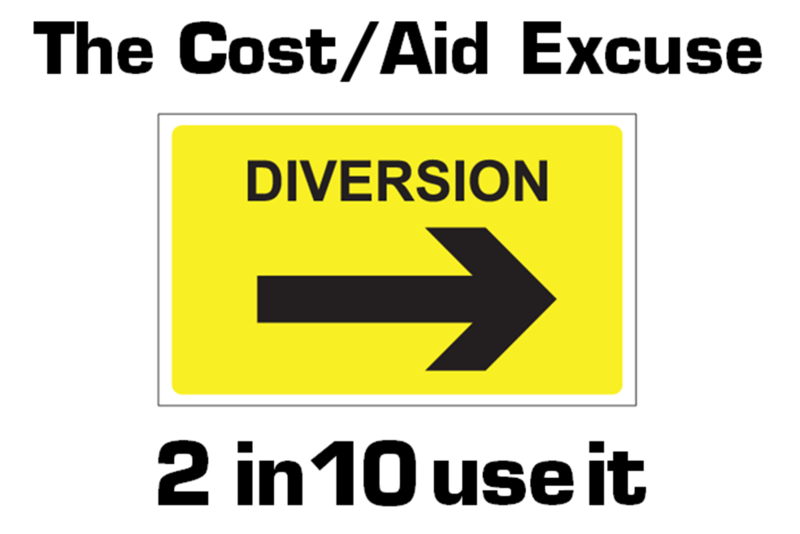 Are Your Counselors Prepared When an Admitted Student Plays the Cost Card? “Of course,” said most of the students in the group. “Do you take their calls?” I asked. “Not if I don’t have to,” answered one of the students to laughter and agreement from the group. 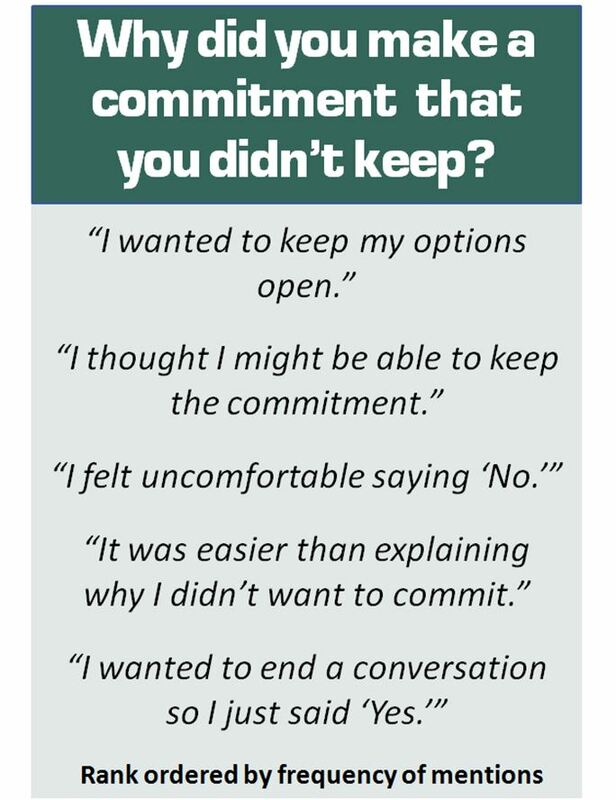 “When a counselor reaches out to you and you’re not sold on their college, what do you tell them?” I asked. One student blurted out, “I just tell them they cost too much or I’m getting more financial aid at another college.” Other students in the focus group acknowledged that they say the same thing. “So, cost and financial aid is the reason?” I asked. We found that 2 in 10 students nationwide are using this diversion/excuse with the counselors they are talking to. They are telling you cost and financial aid is the reason for not enrolling when, in truth, the real reason is something else. This finding has two critical implications. First, private and public colleges across the United States are hearing this false excuse and believing that their tuition and aid is non-competitive when, in fact, the real reason they are losing enrollments is because of some other issue(s) that remain unidentified. Were colleges able to uncover the real reasons why a student is hesitant to enroll, they may find it easy to fix, change, or improve the thing(s) that dissuade a student from enrolling. The second implication here is equally compelling: Students have been conditioned to use cost as an excuse because admission counselors aren’t skilled at uncovering their real concerns and objections. For college-bound students and their parents, the college search can be a real roller coaster ride and it is inevitable that questions and concerns are going to arise. For the savvy admission counselor (or faculty member, tour guide, or student caller), unmasking those concerns are opportunities to turn an unconvinced applicant into an excited enrolled student. What should a counselor do when the Cost Card is played? The former response clearly indicates that it’s a money issue. The latter response indicates it’s something else. And, when it is something else, it’s the counselor’s job to probe and uncover the non-cost objections and concerns the student may have. The counselor may find that a prospective student’s barrier to enrolling is based on a false assumption they may have about the college that, if corrected, would make a world of difference. It could be something based on a fear that the student has about your college; that they won’t fit in with the other students, that they will be too far from (or too close to) home, etc…. Whatever the real reason is, a counselor must uncover it so that it can be addresses and, hopefully, overcome. Doing so best serves both the student and the college. 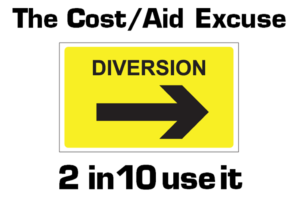 Strategies and practices for uncovering and overcoming objections are beyond the scope of this blog post but we can help elsewhere. You’ll find videos on our website and YouTube channel that provide guidance and best practices for uncovering the objections and concerns that prospective students have during the college shopping and selection process. I encourage you to look HERE and HERE for help. Of course, feel free to call us. We’re happy to provide resources and help.